PAUL BELLINGER PHOTOGRAPHY: BILLINGS MONTANA PHOTOGRAPHER – HAPPY SUPER BOWL! BILLINGS MONTANA PHOTOGRAPHER – HAPPY SUPER BOWL! Today is the Super Bowl and I’m up way earlier than usual on a Sunday! I’ve got fresh coffee, beautiful morning light, and a smoker filled with pork. I’d say that bodes well for the day ahead! When the pork is ready I’m off to Ken’s for a day full of football, family, and of course, abusing his massive photo book library. In honor of the football season, I’m posting one of the few football photos I made this year. This is an outtake from a helmet shoot I did with Ken Jarecke for Hail Varsity Magazine. 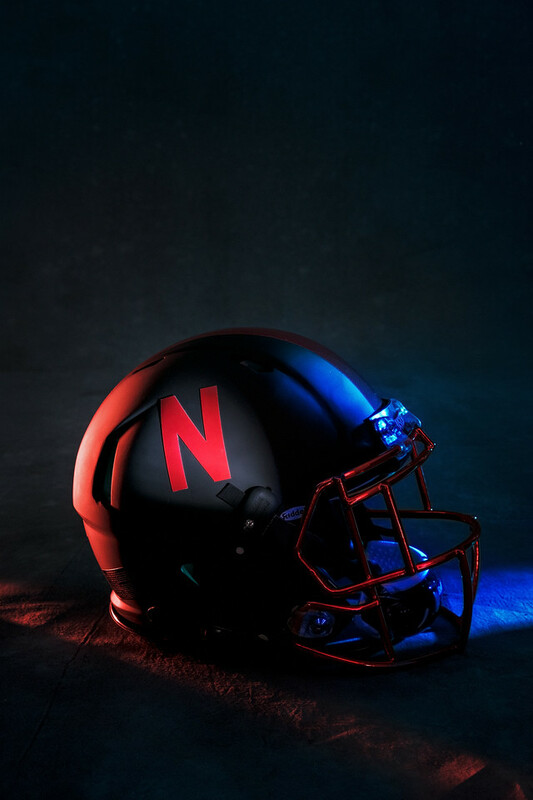 The Huskers were unveiling an alternative uniform against Northwestern, and had been struggling, so I wanted to make something a bit ominous. We lost. But oh well, today is about the Super Bowl! I love the super bowl, regardless of who’s playing, but it’s always a little bittersweet because it’s the end of football season. Strangely, I feel more reminiscent about the year that’s past on the day of the super bowl and not on new year’s eve, when the year literally ends. It’s the end of the 2015 season, so it’s kind of like 2016 starts tonight at midnight. The ball drops when the game ends and we look forward to a great year ahead. 2016 came early for Nebraska fans this year, as the season ended on December 26 when the Huskers beat UCLA in Levi’s Stadium where the Super Bowl will take place today. I started the year sitting at a bar in London, watching my beloved Huskers from across the pond. I missed the season opener for only the second time in 10 years, and we lost the opener for the first time in my lifetime. Of course I feel guilty about it, but just like the players, I have to put it behind me and focus on the 2016 season, and not missing another opener. For the record: I want Denver to win the Super Bowl and make the AFC West proud, something that I hope my Kansas City Chiefs can do next year. I’m also throwing my good karma behind Denver because some of my best friends and family are Denver fans, so I want them to be happy. For people who would say that I should hate Denver because they are the Chiefs rivals in the AFC West, I just don't have the energy for that and I've always been all about loving my own teams rather than hating on someone else's. I do like Carolina a lot too, just by the way they play, I love teams with good defense and a running attack/mobile QB. What self respecting Nebraskan doesn’t? I’ve been rooting for them in the NFC all season (along with the Seahawks for my bro-in-law). I also like Cam Newton and I hope he gets a chance to dab against Denver’s #1 ranked defense. I think we’re in for a good one and I’m not making a prediction. Happy Super Bowl!